I really hate wasting food. I get so sad when I look in our crisper drawer and find slimy lettuce or open up our fruit bin and find mold growing on a strawberry or a peach. The other day during a commercial break in between my telenovelas, I saw an ad stating that Americans throw away nearly 33 million tons of food each year due to spoilage. That’s just crazy! It pains me to think of how many of those pounds were once perfectly beautiful carrots just waiting for some hungry little super chef to feast on and now they’re just sitting in some landfill, rotting away. Alas, food waste is a very rare occurrence in my house. I try to find a use for everything, whether it’s on its last leg or just beginning to reach its point of expiration. Got a brown banana? I’ll make a banana bread. Come upon a few pieces of nearly stale bread? I’ll whip up a plate of French Toast. Have half of a butternut squash leftover from the macaroni and cheese dish I posted about the other day? I’ll chop em up, throw them into a stew and call it dinner. Need a stew recipe so you can do the same thing? I’ll give ya one. 1) Heat oil in a large Dutch oven over medium-high. Add onions, garlic, carrots and fresh ginger and cook 5 minutes until onions are softened. 2) Add butternut squash, lentils, vegetable broth, tomatoes and spices. Bring to a boil, cover and allow to simmer 25-30 minutes. 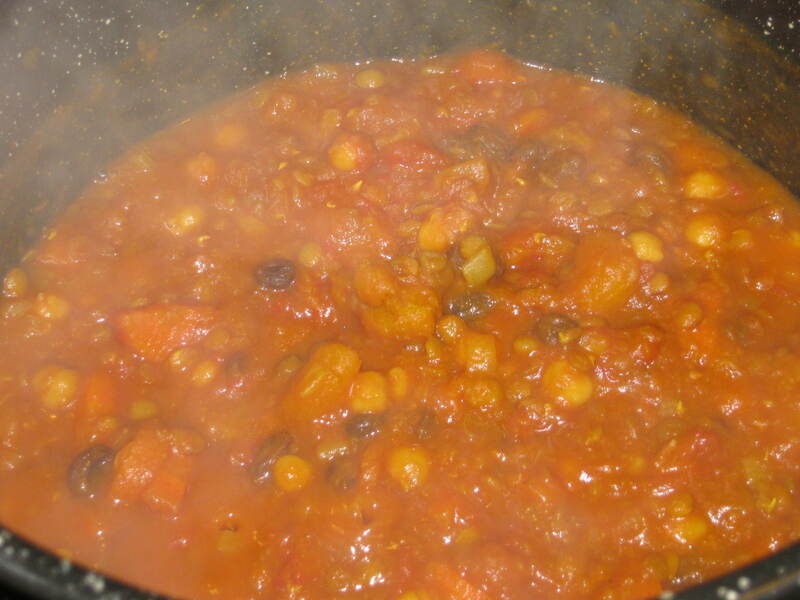 3) Remove lid, add chickpeas, raisins and tomato paste and allow to simmer 10 minutes. 4) Serve over a bed of cooked rice, couscous, quinoa, millet or whatever your favorite grain just so happens to be. 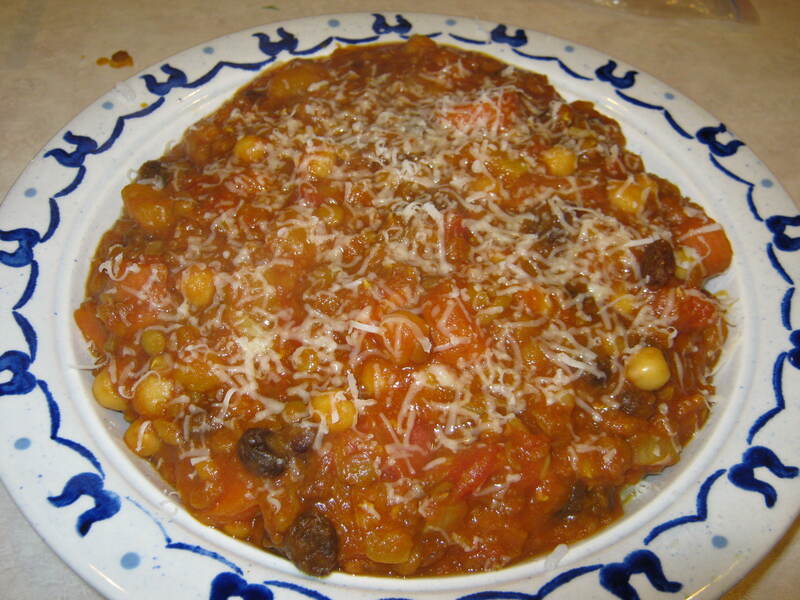 Top with grated Parmesan, if you so desire and enjoy! Another possible food waste crisis averted. TeenyLittleSuperChef saves the day again. 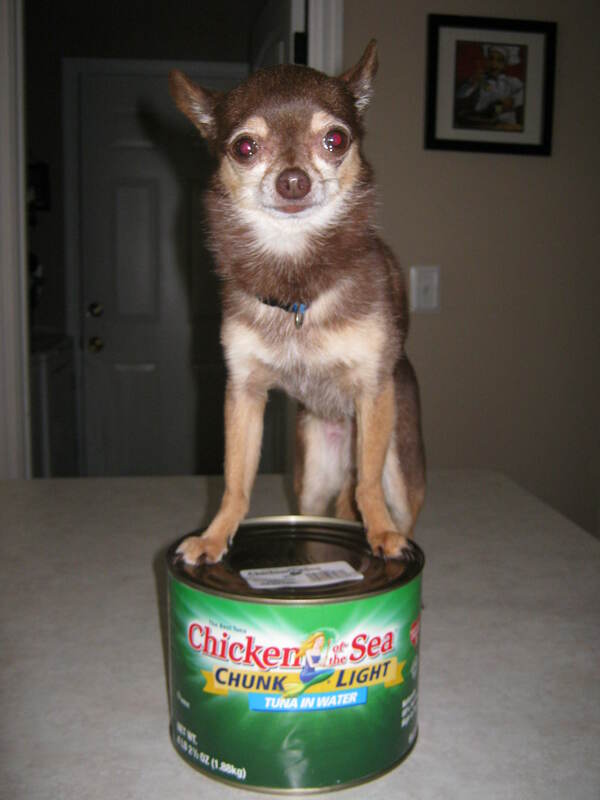 Now if you’ll excuse me, mi mama says she’s craving a tuna salad sandwich and I need to figure out just how I’m going to open up this can. This was another instant hit! When Raf asked me what I was planning to make for dinner I told him I was making Morrocan stew, to which he replied “will it be good?” Which 100% percent confidence I was able to say “well, it’s from teenlittlesuperchef’s blog so it will be more than good, it will be amazing” and it was! You’ve done it again Teenylittesuperchef! Bravo!